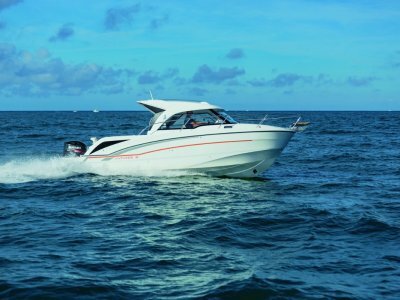 Built by a company that has been manufacturing a wide range of luxury yacht and power boats for over 100 years, the Beneteau 750 Flyer Open will not disappoint. 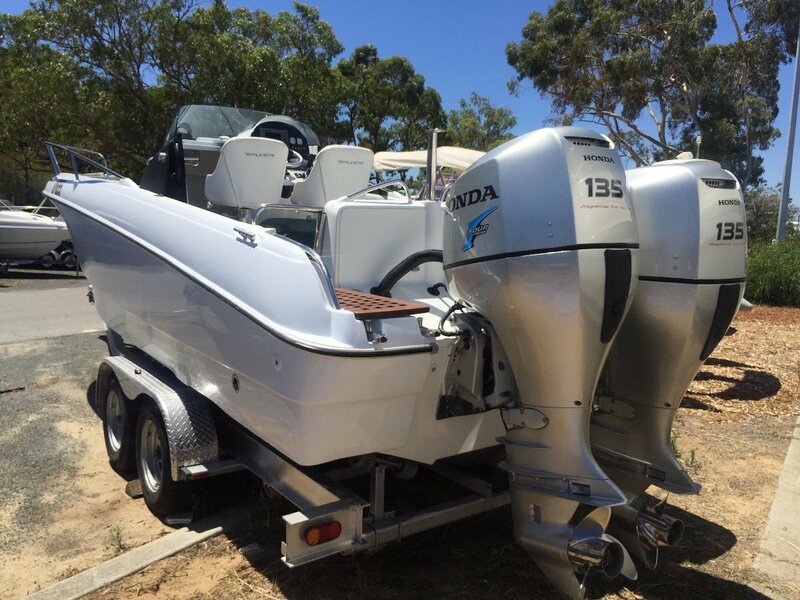 This stylish centre console with small mid cabin, large cockpit area and bow seating is powered by twin Honda 135hp 4-stroke outboards and is ready to go on deluxe dual-axle trailer. 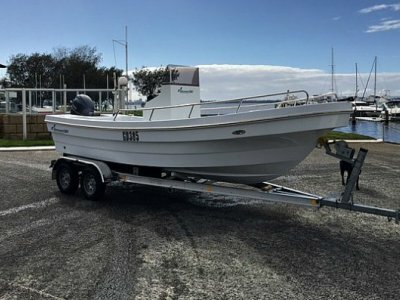 The Beneteau 750 Flyer will satisfy many buyers, whether it's a family-focussed island bay hopper, or roomy Bluewater fish/dive rig. 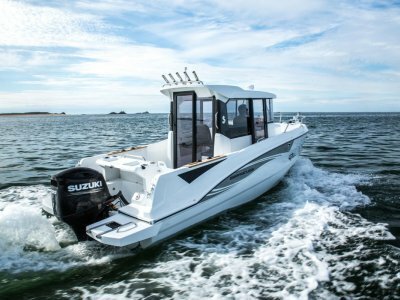 Giving exceptional ride and handling delivered by the Air-step technology hull, the 750 will handle the slop and chop easily. 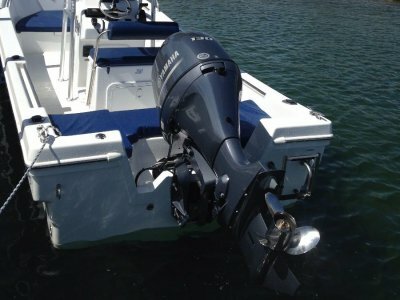 Twin Honda 135hp 4-stroke counter rotating outboards.